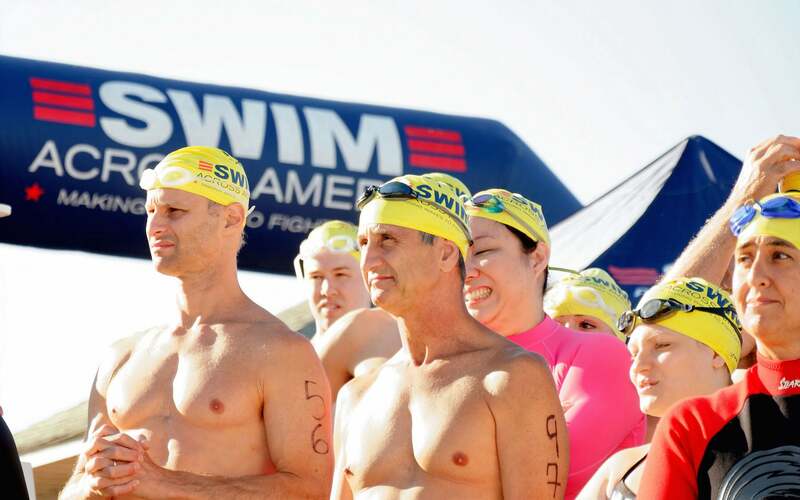 Swim Across America held its annual “Cove to Sound” swim at Morgan’s Park in Glen Cove, NY on August 8, 2015. The event raises important funds to support lung cancer research in Dr. Raffaella Sordella‘s laboratory at CSHL. Nitin Shirole and Paola Pisterzi from Raffaella’s lab participated in the event by swimming and Debjani Pal spoke about their work. For more information about Swim Across America, visit www.swimacrossamerica.org.